Ben was born in Maili, Waianae in 1946 to Ben and Lillian Ramos. He grew up with four sisters Linda, Sandra, Kathleen and Adelita. He attended Waianae Elementary School and the 9th grade at Waianae High School. 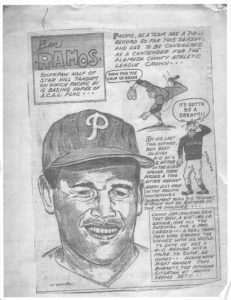 In 1961, the family moved to San Leandro and Ben attended Pacific High School where he excelled at both football and baseball. He graduated from PHS in 1964 and went on to attain his BA in Political Science and Philosophy from California State –Hayward (now East Bay) and graduate in 1975. In 1980, Ben received his Doctor of Jurisprudence (J.D.) from Los Angeles College of Law. Ben is married to Lorrie and has two children – Ben and Leilani. Two-time Prep of the Week Awarded for baseball by the San Leandro Morning News Paper. Earned Run Average (era) for three years of pitching 1.26. Strikeouts per game 12-14. 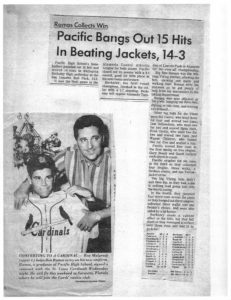 One-time Prep of the Week by East Prep Writers Association for baseball, earning the O’Hara trophy, and was interviewed by Milt Gamble’s Teenage Salute Program on Radio Station KDIAFirst Portrait to be published in the sports section of an athlete in the Hayward Daily Review News Paper. Played first team as a right half back during my junior/senior year at Pacific High School. Offered a full scholarship for football as a running back at San Francisco state University. Starting pitcher as a sophomore for the Pacific High School varsity baseball team. 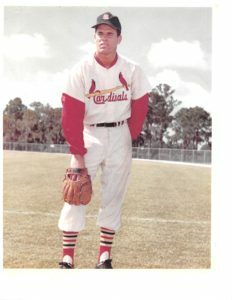 Signed with the St. Louis Cardinals in 1964 after graduating from Pacific High. Signed with the Global League (a third major league) in Daytona Beach, Florida in 1968. Stu Miller of the San Francisco Giants was our pitching coach. Pitched batting practice for the Houston Astros at Candlestick Park in 1969 under the supervision of Astro Manger Harry “Hat” Walker. Participated in the major/minor league charity game with major leaguers Willie Staggell, Vada Pinson, Joe Morgan and other major leaguers. Pitched three scoreless innings against Jim Longborg, who pitched in the 1967 World Series for the Boston Red Sox.